So I didn't want to make too much hoo-hah about this, but today is my 35th birthday. It's been a truly awesome day and I feel super blessed with all the wonderful people I have in my life. I honestly still consider myself like 16 years old in my head (and totally act 12), so turning 35 doesn't bother me really, in fact it doesn't even seem possible! Instead of writing a bunch of blatibly blah about the day, I though I'd post pictures of all the good things that happened today. 1. I got tickets to the Rock and Roll Hall of Fame Induction in April! The process went super smoothly, and was stress free! Cleveland here I come! 2. I went on a 3.5 run walk/run this morning in honor of turning 35. My sweet Molly girl did 1.5 miles of it with me. My feet feel great and I actually really enjoyed my run this time. 3. 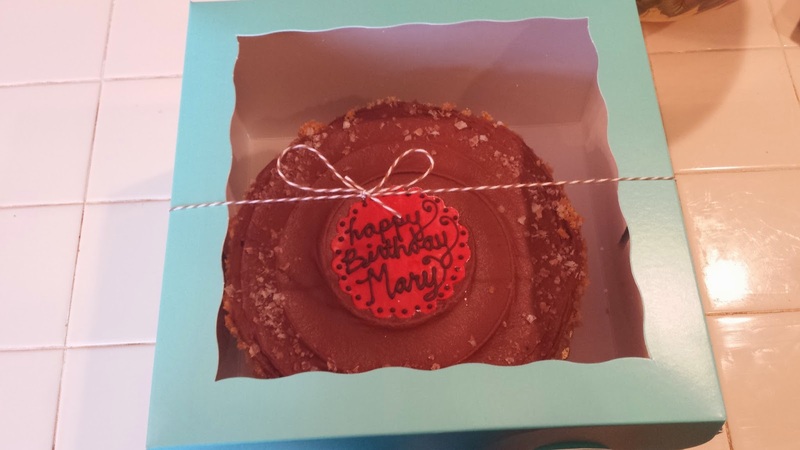 My husband got me one of my favorite desserts in the entire world, a Chocolate Salty Dog Cake! 4. 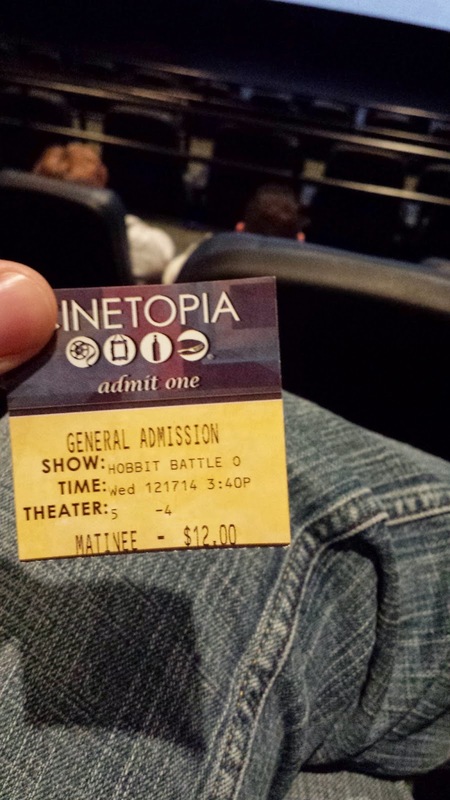 We went to see the final Hobbit movie! The last Lord of the Rings opened on my birthday 11 (?) years ago, and now the last Hobbit movie is opening today. I feel like I would be breaking some kind of nerd law if I didn't go! It was pretty good! 5. 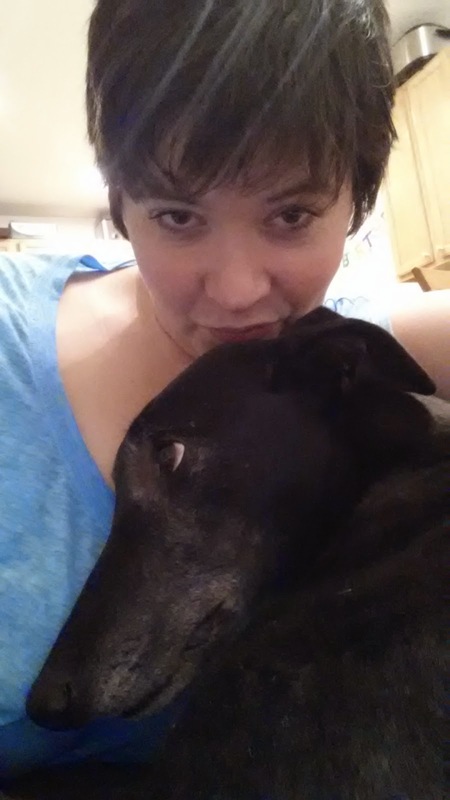 Then I came home to snuggle Molly to console her over the trauma of us being gone a couple of hours. 6. 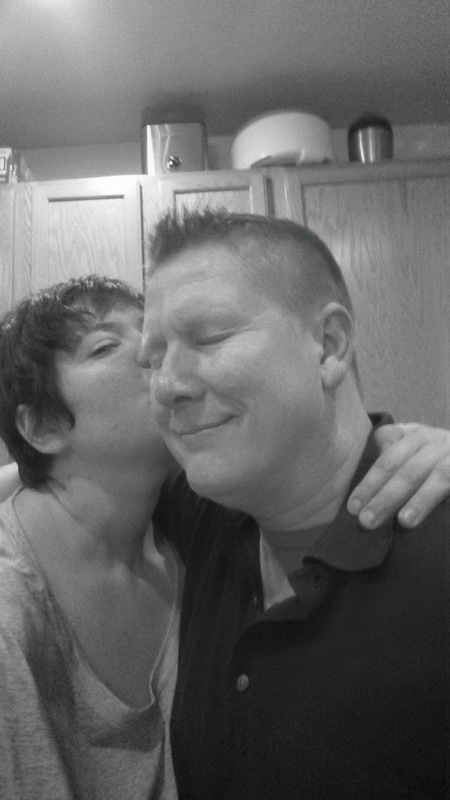 And now I'm off to snuggle my husband for being amazing and helping me have such a great day! Aww happy happy birthday!! Looks like a magnificent day! Ha! It's because she's super lazy. I guess I shouldn't say lazy, greyhounds in general just have very short bursts of energy, so anything longer than 2 miles is too much for her. I wanted to run, which Molly does not do, so she got to relax in the car after her 1.5 mile walk while I finished out the distance with running. Happy birthday! 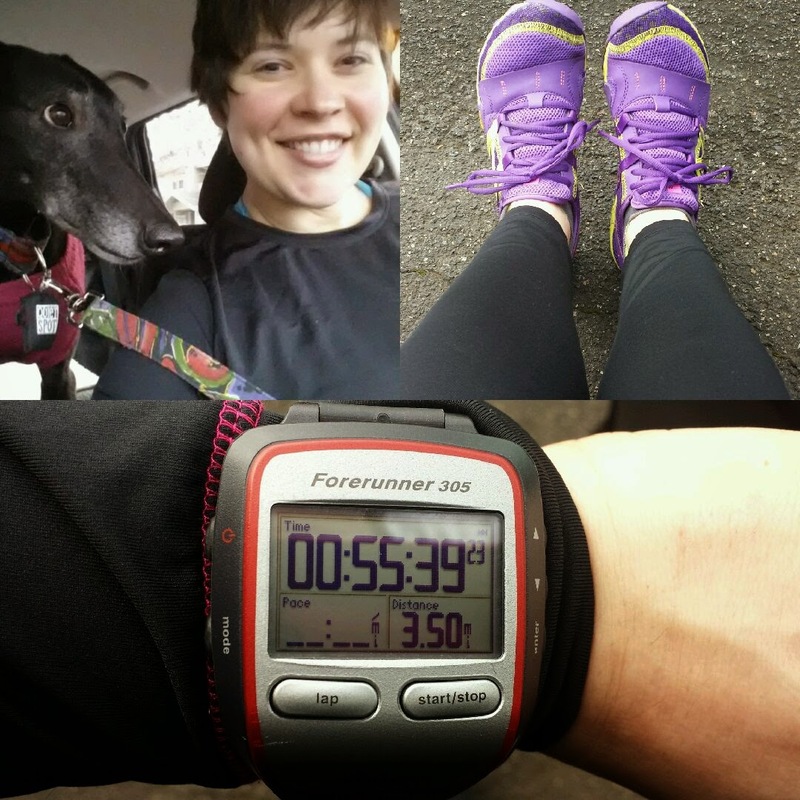 I ran 3.4 miles on my birthday this year and will run 3.5 on my 35th. Love that other people do that, too!